As Accountability Counsel enters our next phase of growth, this Strategy reflects work done over several years to understand barriers to achieving our ultimate impact and how to overcome them, our approach, how we make decisions, what our priorities are, and how we use and develop our resources. 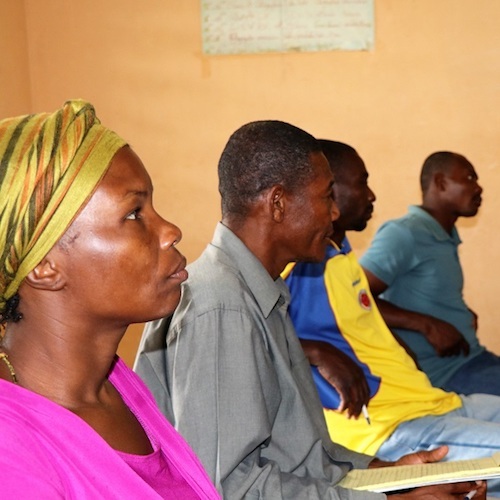 Our model uses a high-leverage point of influence – the accountability offices tied to international investments – to give communities a voice in the decisions affecting them. It recognizes that this strategy is most likely to succeed when it is supporting wider campaigns. The ultimate impact we seek through our theory of change is that: (1) communities can take part in decisions that affect them and secure remedy to realize rights; (2) effective and robust accountability systems deter abuses; and (3) international institutions and corporations respect communities and prevent abuses. Accountability Counsel’s Communities, Policy Advocacy, and Research programs work in coordination to support communities and boldly shift global systems toward greater justice in international finance, with each program tied to our three ultimate impacts. embed research support in case and policy initiatives to increase their impact and success at achieving the vision we seek in our theory of change. While our detailed plans include work well beyond maintaining the current system, our core work is to keep the existing system strong. This prioritization informs how we expend our resources. We see decades of gains at risk unless we keep these priorities in focus. We seek to meet these priorities through adopting a joint teams approach that allows each program to grow capacity to collaborate synergistically with the other two programs. Details of each team’s aims and five-year strategic goals are below. continue to take advantage of strategic knowledge sharing opportunities and develop the capacity to more widely and systematically share lessons learned from our cases. expanding our “root cause” work to advance incentive structures that both prevent harm to communities and effectuate meaningful remedy in the cases where harm occurs. People in communities harmed by international investment and their advocates, as well as investors, accountability office staff, institutions, and researchers, need ways to understand what accountability offices are, how they work, and patterns of behavior within the accountability system that need to change in order for accountability offices to live up to their potential. If we can’t see the system, we can’t change it. develop analysis and research from the dataset that is shared in influential materials for use by external stakeholders. Our scaling plan envisions a global organization of around 50 people, operating from a number of locations around the world. We estimate that our annual budget at the end of this five-year plan would be about $4.5 million per year, which is about $1 million short of the fully scaled vision for Accountability Counsel. We estimate leveraging an additional approximately $1 million per year of in kind and pro bono resources at full scale. We aim to sustain our impact through a combination of philanthropic funding, in kind support, and earned revenue.